A major piece of Google’s algorithm is known as the QDF, which means query deserves freshness. This is often incorporated on time sensitive searches. For example, when people started to search for Donald Trump during the election Google used QDF to show relevant results. This allowed news articles from the past 24 hours to dominate the Google results as opposed to articles on The Apprentice or Trump Tower. The QDF also comes into play with search phrases that have a date modifier. The most common type of date modifier is a search phrase with the current year. Here are the 8 things you need to know when it comes to optimizing a blog post for a date modified search. At least 10% of my personal Google searches use a year modifier like 2018. I want to read recent articles that are up to date with the current trends and tactics. And I am not alone. Here are two common year modified searches in my industry. Search engine optimization is constantly changing, and that is why people add the current year to the search. The year modified search is going to return results of articles that were published in 2018. This insures that the tactics are fresh and up to date. Facebook advertising is another area that changes on almost a monthly basis. Anyone that is using Facebook Ads understands this, and they do not want to waste time sifting through blog posts from 2016. Unless your domain authority is off the charts, then many of the highly searched root keyword phrases are going to be out of your reach. These long tailed time modified phrases can add up to thousands of monthly visitors. Unless you are hiding your publish date on blog posts, Google is going to include your blog’s post date right below the title in the search result. This date is going to have a significant influence on the click through rate of your post. This is amplified even more for certain keyword phrases like statistics and trends. These searchers want to see the most recent trends and stats. They tend to ignore all articles from before 2016. They are driven to click on the post with the most recent publish date. If you have a post that used to rank in the top 3 Google results and has slipped, then a simple republish can push it back up the rankings. Just go into the post and make a few changes. Then publish the post for today’s date. Google will update your result with the new date, and it will give your post new found life in Google. As soon as Google sees that people are adding 2018 to specific searches, it modifies the algorithm for the root phrase. If people start clicking and staying on your post for the year modified search, then your post might move up to the first page on Google for the root phrase. This could lead to an avalanche of organic Google traffic. Once you have identified all the posts that can benefit from a year modifier, you should execute a biyearly plan to republish these posts. Just drop the urls into a Google spreadsheet, and set an alert on your phone to start updating and republishing these posts. I already explained the value of January. In addition to the first month of the year, people continue to use year modifiers throughout the calendar year. Once you get past June, the searchers will begin to cherry pick through the most recent posts for that year. By republishing in June, it will allow you to maximize your click through rate and improve your rankings for the entire year. This goes back to what I mentioned earlier about people tending to click on the Google results with the most recent publish date. For this same set of posts, you will want to update the titles to reflect the current year. If you forget to do this, then your post will quickly fall from the Google rankings as the year turns. And so on every year after that. Google’s latent semantic indexing, commonly known as LSI, plays a larger role than normal with year modified searches. The LSI looks for topics related to the specific keyword search, which Google expects to see within a post. Let’s take a look at the search phrase, “Facebook ads.” Every year there are several new features that are created and released to users of Facebook ads. Just this year, Facebook allowed advertisers to show their ads in Facebook messenger. Google will recognize the new additions to Facebook ads and look for that content in newer posts. The blog posts that mention Facebook messenger will move up in the rankings, and the posts that fail to mention it will move down. So, always remember to add the big changes and additions to a blog post before republishing it. In addition to republishing year modified posts, you should also relaunch them in the first week of January. 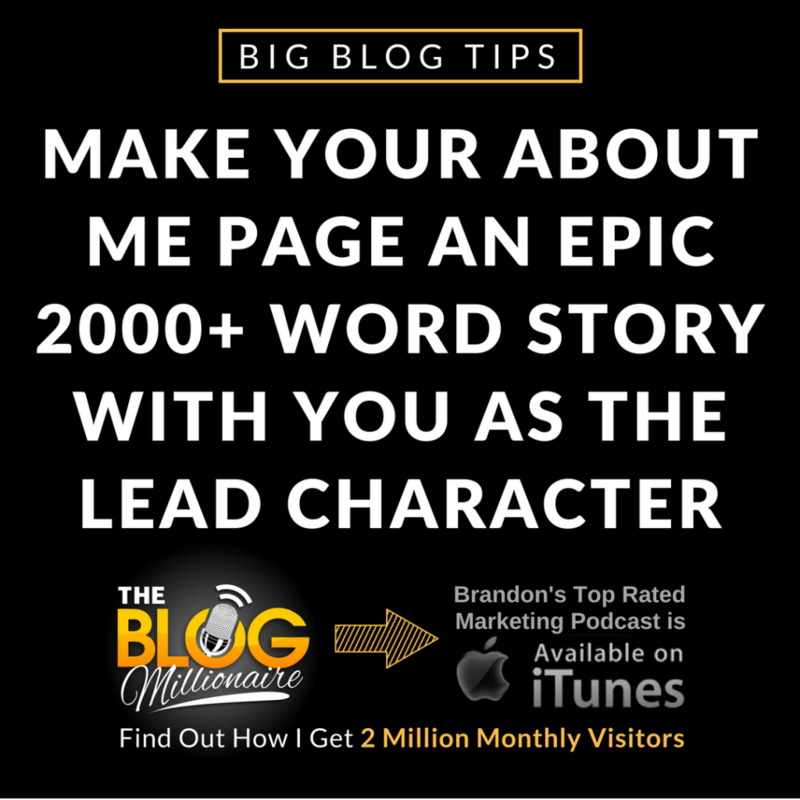 This starts with emailing your subscribers a nice short email that promotes the blog post. Here is an example email that could be sent for a post entitled 13 Web Design Trends for 2018. Use the title for the subject line. And get straight to the point with your email. Please take a moment to share this post with you friends on Facebook, Pinterest, and Twitter. I will be sending you four more posts like this one in the next seven days to get you prepared for the upcoming year. This email delivers the link right after the first sentence. After the link, it asks for the social share. I have tested emails with and without the social share ask. This basic ask equates to a 450% increase in social shares. The closing sentence lets them know how many more emails will be coming their way in the next seven days. In addition to the email, you will want to share each of your newly published posts on your social accounts. For Twitter, you can send a tweet every hour that mentions a tip or trend from the post. For Facebook, you should do one update per post. I recommend either doing a slideshow video or an image. The slideshow video will go through the first half of tips and tactics, and then it will end by asking them to click on the link to see the rest of the tips. If you choose an image, then it will mention your biggest tip. You can add your brand and a call-to-action at the bottom part of the image. The most effective way to get Facebook shares is to post these videos and images to targeted Facebook groups. For example, there are over 100 highly active Facebook groups that are just for web designers. Choose a couple to join, and make some comments on other posts before making your post. Start your post with a question like..
What is going to be the biggest web design trend in 2018? And attach your image tip or video slideshow to the post. By asking a question, you are going to dramatically increase the engagement on the post. This will allow your post to stay at the top of the group feed for days instead of minutes. I recommend keeping these infographics as simple as possible. This will allow you to knock them out yourself and reuse them year after year. If you do not know your way around Adobe Photoshop, then Canva has over a hundred infographic templates. Most of these templates cost only a dollar and some are free. By using Canva, you can just drop in the key takeaways from your blog post and have a nice infographic in a matter of ten minutes. The best location to place your infographic is at the end of the post. Right before your infographic appears, use a call-to-action statement to encourage readers to share the infographic on their own blog. If you have a blog, then feel free to use my infographic below in your own blog post. All I ask is that you link back to my post. By having the infographic at the end of the post, it is also going to give you a big boost in Pinterest pins. Simple infographics with a list of tips tend to get the most repins on Pinterest. My infographic at the end of my ways to get Instagram followers post was repinned over 6,000 times. It is definitely worth taking the time to add this growth hack to your yearly routine. Just a couple of year modified posts can dramatically increase your Google traffic, social media shares, and backlinks.